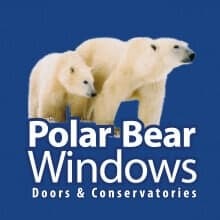 At Polar Bear Windows we do not inflate prices and use gimmicks or all-year-round discounts to increase prices, to later offer money-off and pressured sales techniques to rush customers into purchasing. We believe in being honest and transparent with our customers from the start. Our pricing structure is competitive and we are able to give the best money saving deals around. We offer a manufacturer-backed 10 year comprehensive guarantee. This hassle-free service covers parts and labour if any issues arise after installation. All our doors and windows have a multi-point locking system which will ensure they are locked securely keeping your home secure. We secure this with a 10 year security pledge for extra peace of mind. We obtain relevant accreditations to include as Secure by Design, comply with trade associations like the TRUSTMARK and Glass and Glazing Federation, adhere to British Standards, hold BBA Certificates. We have added up all the good reviews from Google, Which? TrustedTrader, Checkatrade and Facebook and we are happy (but not surprised) that we are the best Bristol-based installation company for customer satisfaction. Our ethos has always been to improve your living standards by delivering great products and providing amazing customer service. We are constantly improving processes to ensure we provide a first-class service. We are committed to delivering a green service and have implemented processes over the years to minimise the impact we have on the environment. We use uPVC which is made from recycled materials and can be further recycled after the lifetime of the product, we also have an energy efficiency rating of A+ as standard. Old windows and doors removed during installation are recycled as much as possible and not sent to landfill. We also donate fit-for-purpose old products to non-profit organisations and work with local charities. All our windows, doors and conservatories are made in Britain. This means they are made from start to finish to British manufacturing standards. We put care, expertise and attention to detail in every product we produce.